Frome-based counselling charity We Hear You (WHY) is launching a new specialist counselling service in Yeovil for children and young people who have been affected or bereaved by cancer or a life threatening condition. The new service has been made possible by a £76,100 grant from Global Radio’s Make Some Noise campaign and is part of a larger expansion of the charity’s services for young people. The new service will run on Thursday afternoons between 3pm and 7pm at Nine Springs Natural Health Centre, 70 Hendford, Yeovil BA20 1UR. To find out more or refer a child for counselling, call 01373 455255 or email info@wehearyou.org.uk. 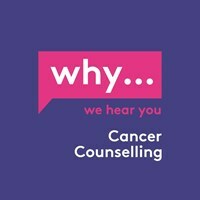 Further information about the charity and the counselling service is available at www.wehearyou.org.uk.